Do you remember where you were five years ago? I do! I was at my first Microsoft SharePoint Conference with my business partner, and CEO of Sharegate, Simon. I remember being in the hotel room at Hooters (we didn’t know what it was until we got there because Hooters didn’t exist in Canada back then) and we were trying to do some QA on our first application. It wasn't going so well. This was our first major conference, and to be honest, the software was far from ready to be sold. Luckily, Sharegate has come a long way since then. Fast forward to the present - we just came back from Microsoft Ignite 2017. This is the kind of event that helps me look at things from a different perspective. Seeing our booth at Ignite and reading the feedback from our new and existing customers, has made me realize just how much we've evolved. 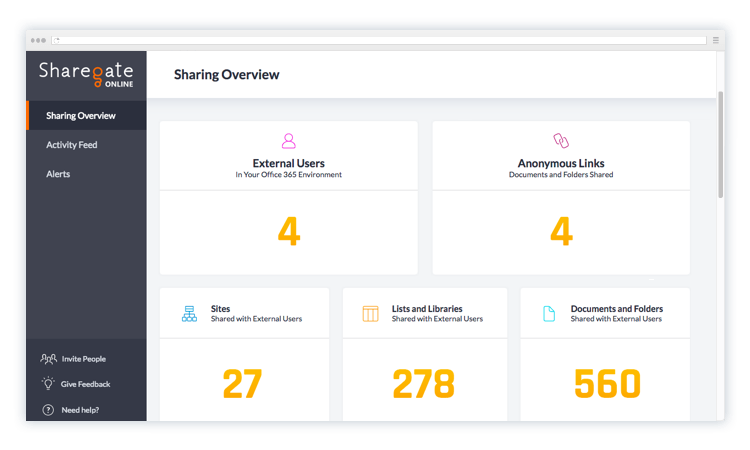 Since we launched the product, we've gone from a simple file share to document library migration tool, to a full management and migration suite. But above all, what we're doing now, is helping people access the new Digital Workplace. And it's only the beginning! Today, I want to share with you my vision of where Sharegate is going within the next few months. Since day one, our goal has always been to make a tool that was Just Damn Simple, and I think we've accomplished that. Environments are becoming more and more complex to manage because of the new Digital Workplace, and that's why I needed to start thinking about what Sharegate will be in the years to come. Sharegate will help you manage your Digital Workplace. To do so, we'll provide simple to use software and endless resources that allow you to get the most value out of your Office 365 and SharePoint. Currently, our tools to help with that are Sharegate Desktop and Sharegate Online. I’m excited to finally share that in our November release, our Sharegate Migration tool and Sharegate Management tool will be combined together into a single software called Sharegate Desktop. Everything you know and love about the two tools will be combined into the same new, and refined design that we released a few months back. With this unified experience, we want to provide tools to help you fix any issues you might have prior to or during your migration project. We'll help you migrate to the cloud and manage your content proactively once you're there. Obviously, we’ll also continue to improve our migration offering by supporting more complex scenarios and adding features to ensure frictionless migrations. Here’s a sneak peek of the unified Sharegate Desktop including Migration and Management. Sharegate Desktop will also evolve from a tool used to perform tasks manually, to a tool that will help you stay in control of your environment and proactively keep it clean, by recommending actions. 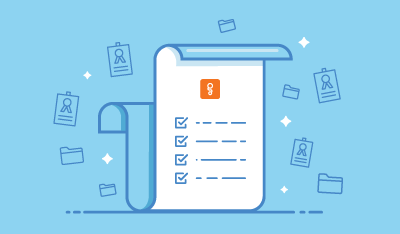 There are already a ton of reports, queries, and actions that can be performed in Sharegate Desktop that will help you ensure best practices and governance plan standards are followed. None of these will change. But the truth is, people lack resources, time and knowledge to run reports and fix problems in their environment. How many of you can say that you sleep well at night knowing that 100% of best practices and governance plan rules are being looked at every week by someone in your team? That's what I thought. This is where Sharegate Desktop comes in. This tool will help you automate your governance plan, so that you can eventually have that good night's sleep. To get there, in the last year we've released a ton of features, essentially building what we call a proactive tool. We started out with Scheduling and Notifications to execute tasks without having to be in front of your computer. Then, we released the new Explorer, which actively crawls your environments and allows you to search for what you are looking for in seconds. With all these mechanisms in place, we will now be able to continuously scan your environments for issues, notify you when we find something that isn't right, and help you fix it right from the Explorer. We'll put the full power of what we’ve developed and learned in the last few years to provide best practices on what you should fix in your environments, providing you with clear visibility and control over them at all times. In short, Sharegate Desktop is a user-friendly migration and content management tool that empowers IT administrators to proactively manage their on-premises and cloud environments. Sharegate Online is our cloud-based software that decentralizes the management of Office 365. It empowers super users to be accountable for their environment and helps IT administrators ensure best practices are followed, all in real-time. Our ultimate goal is to allow IT administrators to enable the full potential of Office 365 in their organizations, all while keeping the visibility and control they need. Thanks to Sharegate Online, they will no longer be alone in trying to manage the beast that is Office 365. The visibility gained by using Sharegate Online, along with the accessibility of the tool for power users (no need to install it on their PCs!) will allow IT administrators to share and transfer management responsibilities to the people closest to the data. The idea is to educate these super users and help them become autonomous in making the right decisions for their environment, while keeping it clean and secure. Office 365 is the future and Sharegate Online is a complement to that future. It's the modern way of managing your Digital Workplace. So that's why in the months and years to come, we’ll continue to help IT administrators, by adding more value and investment to our tool. We always try to build products that will have a significant impact on the day-to-day management of your Digital Workplace, but none of this would be possible without your input. If we have a clear vision for the future of Sharegate today, it’s in large part thanks to our customers. A lot of you have already submitted feedback through UserVoice or through our sales and support teams, so for that, we thank you. If you're curious to see what's next for our tools, feel free to follow our public Sharegate Desktop and Sharegate Online roadmaps. I’m excited for the future, I hope you are too! Discover what Microsoft MVPs are thinking about the Digital Workplace and its future. Get the PDF now.